It’s not only important that you protect your car, but also that you protect your valuable contents that are kept inside the car. When it comes to the idea of being robbed, too many people fall back on thinking that those things only happen to other people. At least that’s what they think until it finally happens to them. 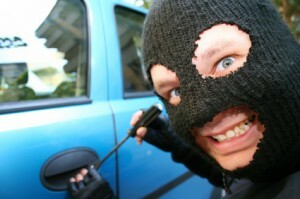 Having your car broken into can result in loss from theft of property to physical damage to the vehicle itself. Don’t wait until you become a victim of theft to start taking action to protect yourself. These easy to follow car safety tips will help you to protect not only your car but also your personal belongings. This might seem like common sense but you would be surprised at how often items are stolen from vehicles where the thief didn’t actually break into the car, they merely opened the door. Make it a habit to always lock your car when you get out of it, even if it’s only for a minute. A thief can enter your vehicle, grab items and be gone before you know what happened. Invest in a quality car alarm. It helps if a potential thief can see that the car is being protected before they attempt to break into it. Car alarms are commonly noticeable by blinking indicator lights or stickers placed on the windows. A car that is parked somewhere off in the dark is a much more tempting target to a thief than the ones being flooded with light. Don’t simply choose the nearest parking spot at night. Choose a place that is well-lit and easily viewable by the public. Start thinking like a thief. Are you going to break into the car with the empty back seat or the one with the laptop computer that can be clearly seen sitting there? If you have valuable items in your car, place them out of sight before leaving the vehicle. Place them in the floorboard and throw a jacket over them or lock the up in the trunk. For more information about how we can help you with your car, truck or SUV, contact Sallas Auto Repair at (816) 765-6060 today — we look forward to serving you.